This stunning stamp set contains 7 beautiful floral images including honeysuckle, stylised flowers and a ladybird. All of which are suitable for so many occasions. Haven't had a chance to use this stamp yet, but love the detail and quality of chocolate baroque stamps. Can't wait to play. fast and friendly service as well. Such an great variety of flowers in this set. Suitable for any occassion or colour scheme. Also well worth paying the extra to have them cut and mounted ready to use. This is a very useful and beautiful set of stamps, useful because they are versatile can be used for many greetings, beautiful because the quality as always is superb, perfect image whatever medium is used. The service is friendly, obliging and quick to deliver items. This is a beautiful collection of stamps.They stamp so clearly, so looking forward to making wonderful cards and more with these lovely stamps.I am so happy with your fast swift postage, thanks so much. 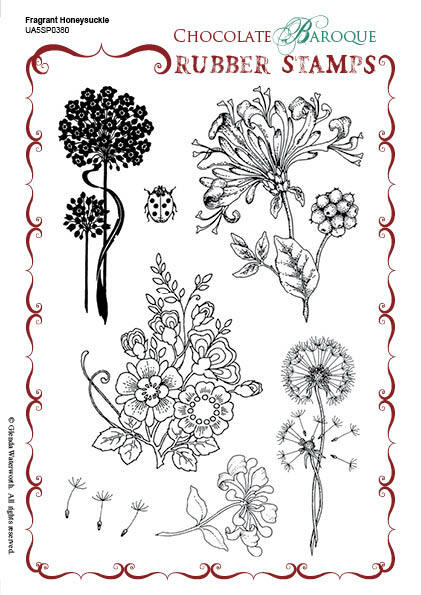 Wonderful images I love the honeysuckle and dandelion stamps. 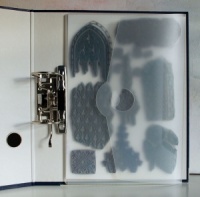 So useful for birthdays, get well, sympathy, thank you and thinking of you cards. I was inspired by an article I saw in the Cardmaking and Papercraft Magazine, which used some of the stamps in this set. The stamps were wonderful, giving a perfect impression everytime and as a newcomer to this craft, this was very encouraging for me. The quality of the stamps, the packaging and the service is SUPERB. Thank you. A beautiful set! Gorgeous images, which stamp beautifully and are a dream to colour in. 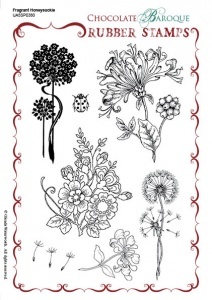 There are many dandelion clock stamps around, but I think the one in this set is the nicest I've seen. Another winner from Glenda. Another wonderful stamp, as always great detail, very versatile, and also great value for money.